At Eyedeal Optical we strive to give our patients the most comprehensive eye care available. Our Optometrist, Dr. Wayne Huebener from Iowa City, performs routine comprehensive eye exams as well as contact fittings and follow up visits. If you’ve been thinking about trying contact lenses for the first time or just need an updated prescription, we can help you find the perfect contacts to fit your lifestyle. We provide education and training for every new wearer and you receive a free trial pair to test before you order so there is no financial risk involved. We use an incredible variety of products specifically chosen for each of our patients. From single vision to line-bifocal and progressive lenses, we cater to each individual and their prescription. 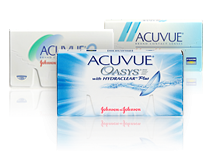 We work with Crizal products, Transitions lenses, Coppertone polarized lenses, Oakley lenses and so many more. Varilux, Seiko, Essilor and Zeiss are just of few of the brands available. We warranty our frames and lenses for one year and the lens warranty is extended to two years if the anti- reflective coating is added. We do all adjustments, maintenance and repairs for the life of the product. We also carry sport specific frames, in Oakley, Tifosi and Liberty Sport. These specialty frames are designed for both children and adults and are paired with safety strength polycarbonite lenses for sport performance. Safety glasses for work are also available here. 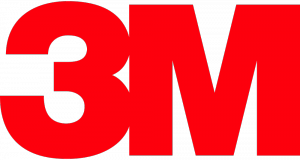 We are contracted with 3M Safety and handle many accounts with businesses in the area for safety eyewear. We have a great selection of sample frames in stock for you to try on and we can do all the measurements for your order.